From modern to mid-century style this years Kitchen of the Year winners make a strong case for the popular transitional style kitchens we’ve seen dominate over the last few years. A truly integrated living space for lifestyle living, the kitchen is clearly the premier space of the home and when designed with the homeowner in mind it accommodates a multitude of activities ranging from task zones loaded with smart appliances and fixtures to work and entertaining. 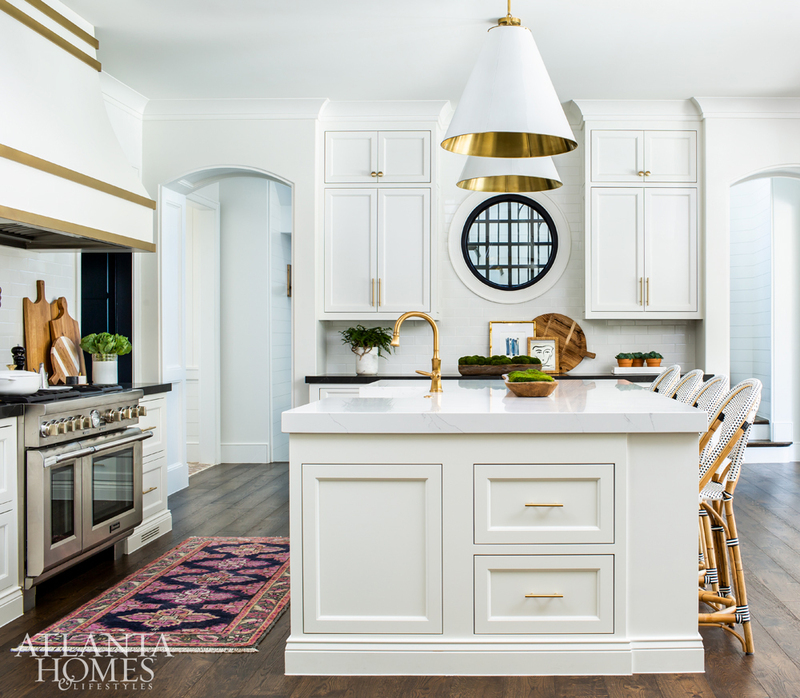 Classic White Kitchen with a Touch of Glam & Open Flow to the Butler’s Pantry | Mallory Mathison Inc.
With more than just the kitchen space in mind the Kitchen of the Year 2019 winners also put in place design options that created a natural flow and connection to adjacent rooms in open floorplans. 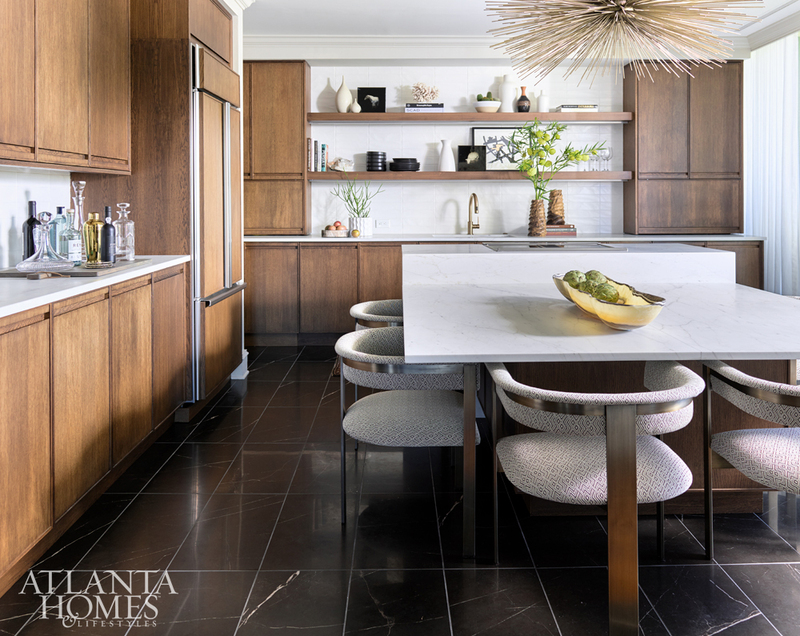 Backsplash trends represented in these kitchens range from stacked and classic brick pattern subway tile to Caesarstone Calacatta Nuvo quartz while countertops feature Quartzite, Silestone Eternal Calacatta Gold, charcoal Soapstone for perimeters. Luxury appliances from leading brands seal the look of pro-chef kitchens loaded with options for the novice and experienced home chef. Stainless steel finishes dominated the winners choice alongside custom hoods that brought an elegant touch to the space. 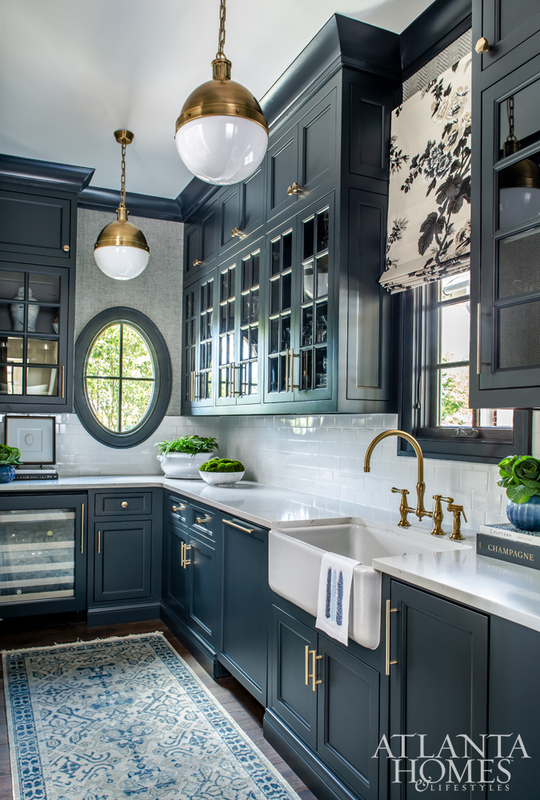 Bold Cabinetry Anchors this Working Butler’s Pantry | Mallory Mathison, Inc. 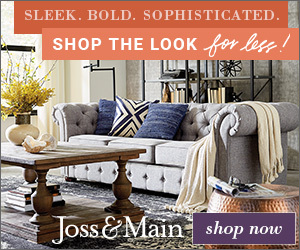 Kitchen cabinet color trends showcased clean transitional styles in warm and cool white cabinetry with pops of bold color that reflect the personality of the homeowner. 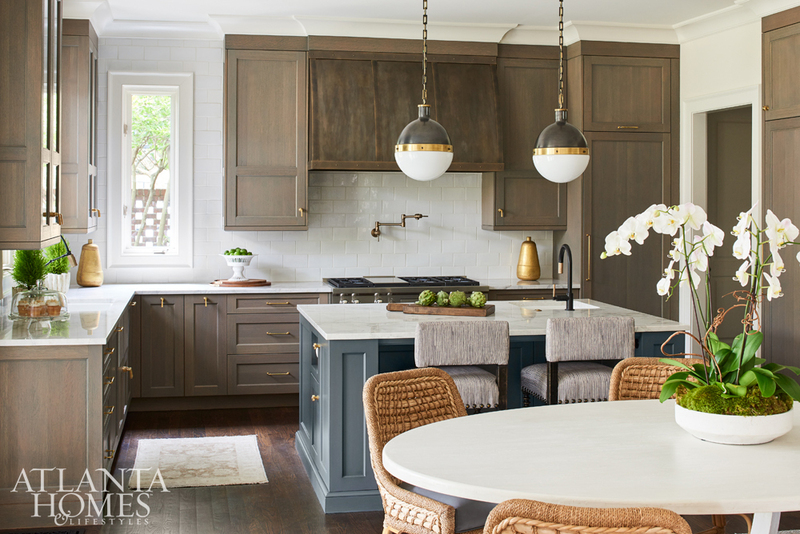 One kitchen features wire-brushed white oak cabinets in a soft blue-gray stain that includes a custom hood. The islands showcase uniqueness in the kitchens with a balance of simplicity and the use of refined mixed materials, lending a great personal touch. With so many design elements at play in this years Kitchen of the Year 2019 winners its worth taking a closer look and I promise you’ll leave the gallery of images with inspiration for your own kitchen project!